Trevor Gene Whiteside, 79, passed away February 8, 2019 at the Heirloom Inn in Price. He was born February 13, 1939 in Montrose, Illinois to Rolla and Thelma Nicholson Whiteside. Married Ruth Tasker and they had three sons, Thomas, TJ and Thad. Trevor later married Louise Hansen, they also divorced. Trevor was an active member of the First Baptist Church of Price. He was also a member of Joppa Lodge # 26 of Price and Orient Lodge # 15 of Green River, Free & Accepted Masons of Utah. Trevor was a past Grand Lodge Officer for Utah, a 32nd Scottish Rite Mason and just recently received his 50 year freemasonry pin. He was a member of the Order of Eastern Star, Bethany Chapter # 9 of Green River and Naomi Chapter # 13 of Price. 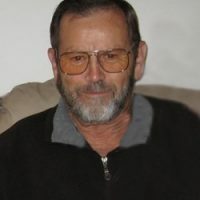 Trevor was a longtime resident of Green River and Price where he worked at the missile base, as a uranium miner and a mining engineer at Valley Camp Coal Mine. After leaving the area Trevor worked as a car salesman in Salt Lake City. He was passionate about selling cars and his son Thad is definitely following in his footsteps as an excellent salesperson. In his earlier years he enjoyed watching his sons play sports and Trevor even played a little minor league baseball back in his day. He was a sports enthusiast and an avid outdoorsman who loved hunting. The past few years he enjoyed watching his grandchildren play sports and he was extremely proud of his family and their accomplishments. Trevor is survived by his son, Thad (Mandy) Whiteside, Price; five grandchildren, Camron, Kelsey, Jessica, Maddix and Gunnar; sisters, Elaine Boren, Judith (Jay) Waite, both of Texas. Trevor was preceded in death by his parents, and two sons, Thomas Charles and Trevor Jay “TJ” Whiteside.